Star drag-flicker Rupinder Pal Singh is all set and rearing to take his goal scoring spree to 18th Asian Games in Jakarta-Palembang where the defending champions will gun for glory again. Speaking about it, the drag-flicker said, “Personally for me, playing against a quality team like New Zealand who won the Silver Medal at the Commonwealth Games was very important. 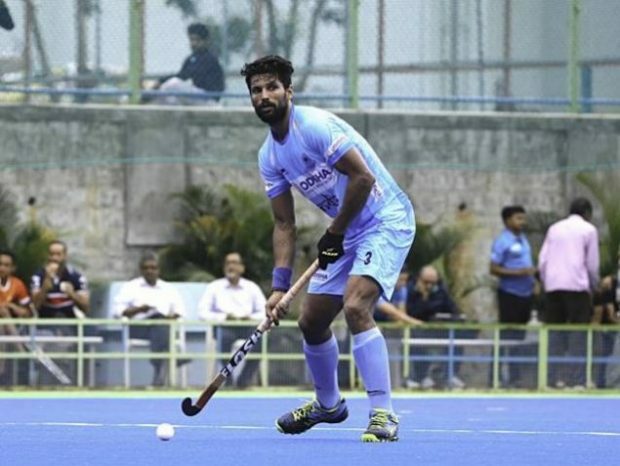 Since I had missed out all the action during the FIH Champions Trophy, I had to find my rhythm ahead of the Asian Games in Jakarta.” He scored a maximum of four goals for India in the three-match Series against New Zealand over the weekend in Bengaluru. 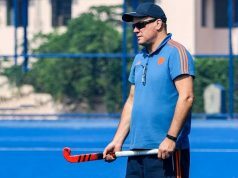 A hamstring injury stopped his appearance at the hockey field after the Gold Coast Commonwealth Games in April and he had to be rested for the FIH Champions Trophy in Breda where the team won a Silver Medal. While the team was vying against top teams in the world, Rupinder had to work his way back to the team in the National Camp and work on his fitness. “It is frustrating for any player to be watching the team play on TV but it was critical for me to undergo rehab in order to be match-fit and available for the Asian Games selections,” expressed Rupinder Pal Singh after the 3-0 Series win. To work on his return, Rupinder appeared in four practice matches against Bangladesh early this month where he scored 10 goals through PCs and played two practice matches against South Korea where he scored one goal from PCs. 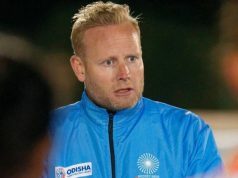 “I think having Bangladesh, South Korea and New Zealand visit us for matches ahead of major tournaments this season was a blessing in disguise. During these matches, the team tried out different combinations and tested different variations in converting PC. We also tried new methods of creating PCs where I think the team did well. Our main criteria was to improve goal scoring,” stated the six-footer from Punjab. The Indian team, after the successful Series against New Zealand, have returned home for a week-long break and will re-join the National Camp on August 1 to get going with their strategies and preparations for the Asian Games where they are grouped in Pool A with Korea, Japan, Sri Lanka, Indonesia and Hong Kong China. 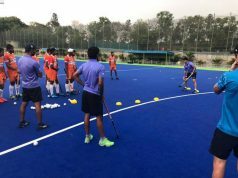 Eager to get the team to the Asian Games’ best podium, Rupinder said the team will further work on the specific areas to ensure they have left no stone unturned in their preparations for the Asian Games. “The one-week break will help us rejuvenate as some of us have been in the National Camp continuously since April 28. When we return to camp, the team will sit together, watch videos from our matches against New Zealand and try and find out ways to improve further. We are eager to defend the Gold Medal at Asian Games in Jakarta,” he concluded. India will start their Asian Games campaign on August 20, 2018 against Indonesia.